The dynamic mountainous and forested landscape of Bend, Oregon lends itself to an abundant variety of outdoor activities all year. This is especially true for extreme sports like mountain biking during the warmer summer months. Mountain biking in Bend Oregon is perhaps one of the best ways to explore the rugged wilderness of the area. You can embark on a challenging biking excursion into tranquil forests and diverse terrains, and see the beauty of Bend. Bend Oregon mountain biking can be for everyone, read on to learn more! Home to over two hundred and fifty miles of singletrack mountain biking trails, Bend has no shortage of options for mountain bikers of all experience and skill levels. You can take your adventure into the forests or Mt. Bachelor’s lift-serviced bike park. Or maybe hit the downhill bike parks, well-maintained trails, and more. The volcanic soil of Bend’s trails makes for fast riding throughout the majority of the year, despite Oregon’s rainy reputation. This is because of its high desert climate. Rolling singletrack trails that are more cross-country in nature require little to no technical skill—perfect for both beginning mountain bikers who still want to experience a speedy ride and for advanced mountain bikers who crave a quick pace for their tricks and techniques. These trails are well-suited to a wide range of mountain biking equipment and styles, in addition to being regularly maintained. Race Downhill for Adrenaline-Pumping Fun! Mt. Bachelor alone has thirteen miles of downhill trails for mountain biking. Mt. Bachelor Bike Park’s Sunshine Accelerator lift and the lessons offered at its on-site Gravity School are ideal for beginners, riders who are interested in improving their techniques, or those who are just a little rusty. The Pine Marten Express area of the park is better for intermediate and advanced riders, with medium-difficulty runs and double black diamond trails made by machine or offered in singletrack. You can also rent or purchase equipment and gear near Mt. Bachelor at Gravity Sports or the Repair Shop. Off the mountain, several well-known trails include the McKenzie River Trail, Sandy Ridge, Alpine Trail, Blackrock Freeride Trails, and Tiddlywinks. Phil’s Trail and Whoops are also notable trails that are suitable for beginners, while Funner and North Fork to South Fork are more challenging in nature. Smith Rock to Gray Butte is also a fantastic scenic trail for Bend Oregon mountain biking. 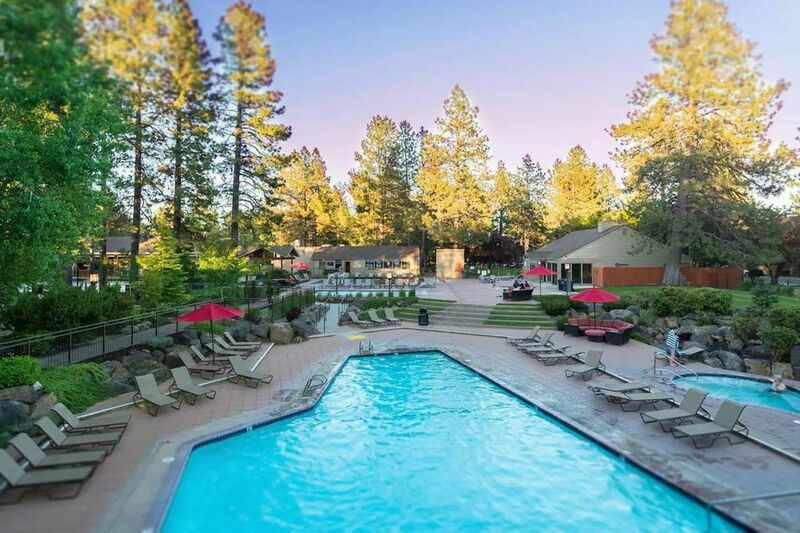 Contact our office for more details on mountain biking and other exhilarating activities and attractions you’ll encounter in Bend when you reserve your lodgings in one of our immaculate vacation rentals today!